We are located at the north end of Penticton just off Hwy 97 between EcKhardt Ave and Okanagan Lake. The Motel is situated off "the Lakeshore Drive strip" on Riverside Drive, yet close enough to enjoy the unique night life and the ongoing festivals in this beautiful and active city of Penticton. Penticton is a great place to stay for golfers too. There is as many golf courses as there are days of the week. 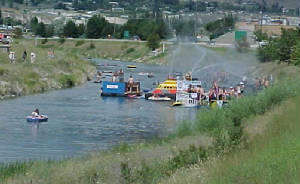 Penticton is known as the city of Festivals, and the list grows each year. We are home to Ironman Canada. one of the largest triathelon events. 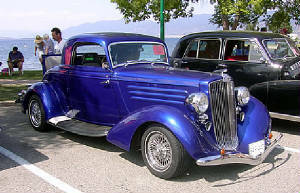 There are many events, including Peach Fest, Show and Shine, Elvis Fest, Jazz Fest, Dance Competions and Sports Tournaments of every description. We have a first class Farmers Market and Artisan Fair on Saturday mornings, near the Casino too. Something is always happening here. 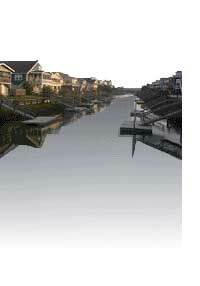 Come visit and enjoy the sights and try find time to relax with a float down the river channel. Finish line at Ironman Canada.